The Sorensen XDL series II represents the next generationÂ of high performance laboratory power supplies. The XDL provides multiple ranges for increased current capability at lower voltages and uses pure linear technology. Unlike other digitally controlled units, the XDL series II provides both numeric and rotary control while the illuminated keys and display legends provide instant confirmation of settings and status. 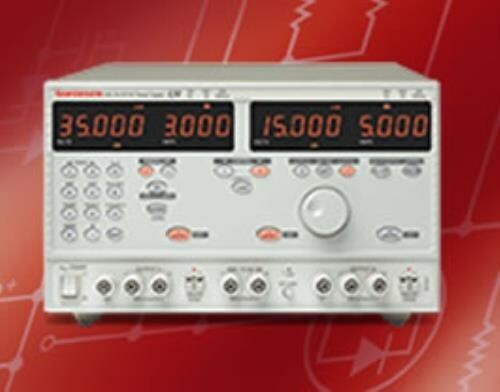 The Sorensen XDL series II represents the "next generation" of high performance laboratory power supplies. The XDL provides multiple ranges for increased current capability at lower voltages and uses pure linear technology. Unlike other digitally controlled units, the XDL series II provides both numeric and rotary control while the illuminated keys and display legends provide instant confirmation of settings and status. For added convenience the Sorensen XDL series II provides storage of up to 10 power supply set-ups in non-volatile memory (30 set-ups for a triple). There are also fully adjustable over-voltage and over-current trips. The XDL series II also provides full remote sense capability via dedicated sense terminals. The XDL triple output model features link and copy mode for convenience. When linked, keyboard and jog wheel control operates both outputs simultaneously. The copy function copies all settings for output 1 to output 2.